What we need to get your Visual Proof System Set up Properly. Please email this back to sales@traxsales.com and we will set this up for you then we need 30 minutes for our basic training boot camp. 5. 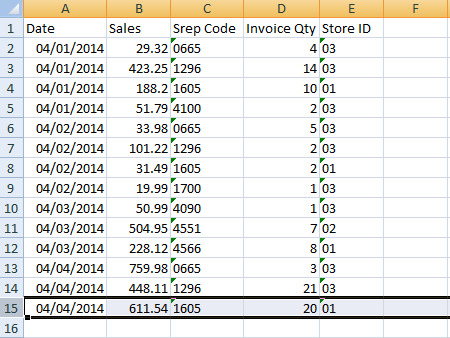 A report from your POS in Excel which has your daily sales by salesperson and number of transactions so we can show you how to set up this automatic reporting service. Our goal is to get Argus Completely set up properly so that you can fully enjoy the system and see how this new knowledge will help you grow sales with the same number of opportunities. How To Set Up The Argus System. Please fill in every field that is applicable. Make sure you include separate showroom phone numbers and most importantly the managers name and email address . #2. Set Up Employee’s. 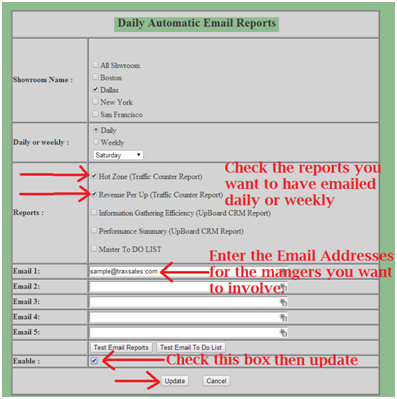 (Halfway down Administration) If you keep track of individual employee sales you should absolutely set this part of the program up. This will populate the finest sales goals program in Retail and also provide the BABTA Analysis regarding Average Sale. Make sure you include email addresses if you use the UpBoard. If you don’t track individual sales make sure you set up one heading for each store with the correct store ID number and goals will work for your entire company in the same way. If you have any questions or problems with this please do not hesitate to call us immediately. 713.466.7177 or if after hours please call 713.854.7706. It is also very helpful and more accurate for you if you can take your percentage of business per month and set up your goals accordingly. For example most companies have a different percentage of business done for February or June or November. What were your exact percentages last year? 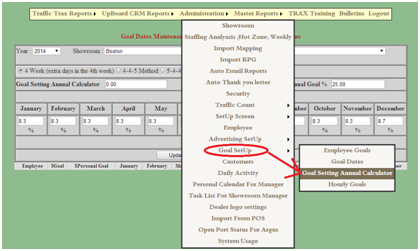 Please put them into the Goal Setup page for each month and our system will automatically calculate this for the entire year for each sales associate. Please make sure your total percentage for each month adds up to exactly 100%. You may also go out to several decimal places if desired. 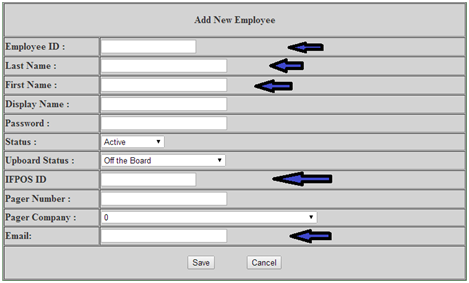 This is the second item located under and change the # of employees working each hour to match your typical schedule. If you have multiple locations that have similar coverage you may also select then go back and adjust those showrooms with more or less sales coverage. Thank you again for your purchase and congratulations. Our goal is to absolutely help you increase sales and grow your company. I know this sounds like a tall order but I know we can do great things together if the system is set up properly and is automatically providing you the information you need to make better educated decisions regarding staffing and most importantly how to increase sales activity and grow your business. Please do not hesitate to call if you have any questions or comments about anything dealing with the system.